Digital Fundus Photography and Retinal Fluorescein Angiography allow us to document pathology in the back of the eye and study the circulation of the macula, retina and deeper tissues before and after an injection of an orange-red, water soluble, vegetable based dye into a vein of the patient’s arm. The dye reaches the circulation of the eye within 20 seconds. Images are captured and we observe different patterns that indicate different disease states and degrees of activity. The dye is eliminated in the urine within 24-26 hours. Optical Coherence Tomograpghy (OCT) is a noninvasive, contact imaging tool that produces cross-sectional images of the ocular tissues. It is based on imaging reflected light. The views appears similar to histologic sections and have been termed “optical biopsies.” With the OCT we view sections of the macula, the optic nerve and the anterior segment structures. The OCT has revolutionized how we evaluate and treat macular degeneration, diabetic maculopathy, macular pucker, macular holes and glaucoma. Ultrasound/ Echography is a diagnositic, noninvasive procedure used to determine the composition and contour of ocular structures. B-scan ultrasonography is used when clouding of the ocular tissues prevents visualization and examination of the structure of the eye. 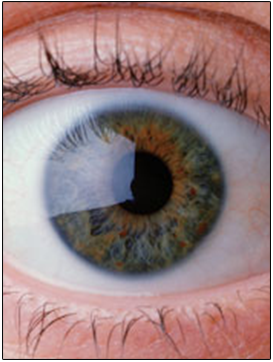 It is used to evaluate the retina, intraocular tumors and other intraocular conditions. It is specially usefel when the cornea is opaque or the eye is filled with blood. Humphrey Visual Field Testing is an automated static perimetry test performed to diagnose visual field defects that can affect the vision. In this test, the patient responds to different intensities of light while sitting at a dome. The test analyzes if the patient is reliably responding to the lights presented. Different patterns of field loss can indicate if the patient has such conditions as glaucoma, optic nerve damage or has had a stroke. A central version of the test can be used to monitor the effects of high-risk medications that can affect the macula.